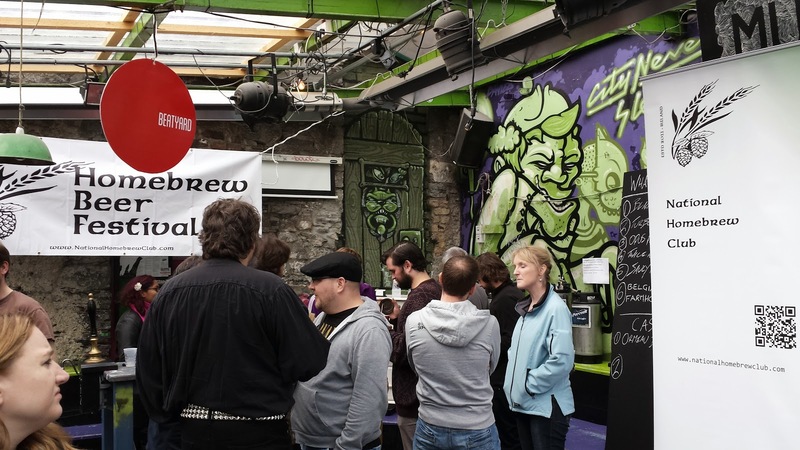 Ireland's First Homebrew Beer Festival. 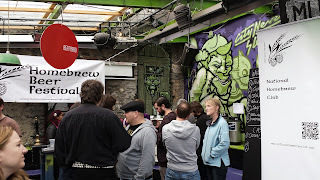 On Saturday, I went to the Bernard Shaw for a beer festival with a difference. 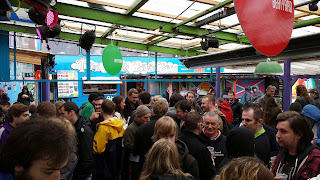 It was run by the National Homebrew Club and featured mostly award winning beers brewed by amateur brewers like myself. Most were from the all Ireland championships in March. I won silver medal for my Dark Stranger stout. You can see the recipe here. I brewed the beer again, although there was a slight variation of course but the beer should have been very similar. Mine went on about half way through the day and became very popular. I had people coming up to me all evening to say how much they enjoyed it, even after the beer was gone. Since this is amateur brewing, there could be no charge so this was a completely free entry mini beer festival with over 500 pints, possibly closer to 600 worth of beer going for free. Of course, the beer was served by the cup and not the pint, however it was a help yourself scenario and there were many beers to try. The action kicked off at noon and was to go on until 6. The beer ran out by 5:30 so it was a good day for everyone and when the beer ran out, the venue bar started to fill up and they actually started making some money. We even had a couple of 100% Irish beers using Irish malt that was then home roasted and home grown hops. The quality of every beer was outstanding and some people even said that it would have put the microbreweries to shame. I don't know about that but I reckon that amateur brewers are capable of brewing beer at least as good as a commercial brewery. Every beer that was there could have been brewed commercially and more to the point, people would be willing to purchase it. 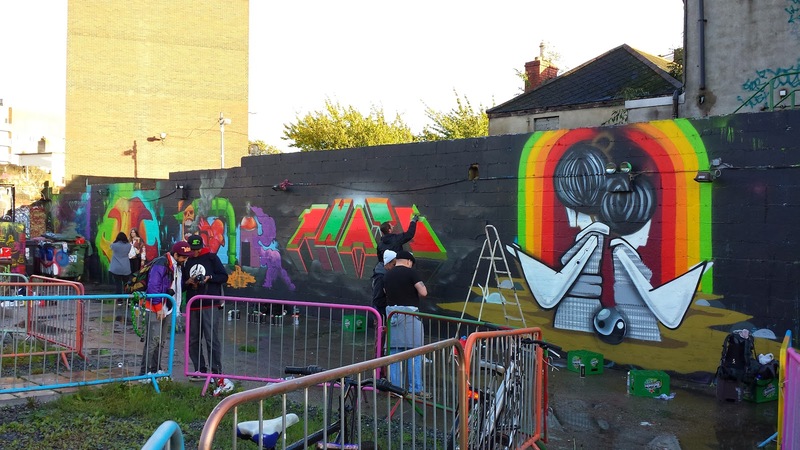 As well as the NHC gig, there was also a bunch of local street artists decorating the wall. They were very lucky indeed when they realised there was a free beer festival going on. They left their cans of crappy cheap lager behind very quickly. One thing I will say is towards the end it was less about tasting the beer and more about drinking anything that was left. It didn't descend in to chaos though, it was more that people wanted to make sure they got every last drop. I think the was over 100 people there that day and even the rain didn't keep them away, although it's probably a good thing it was raining or else we might have been inundated. 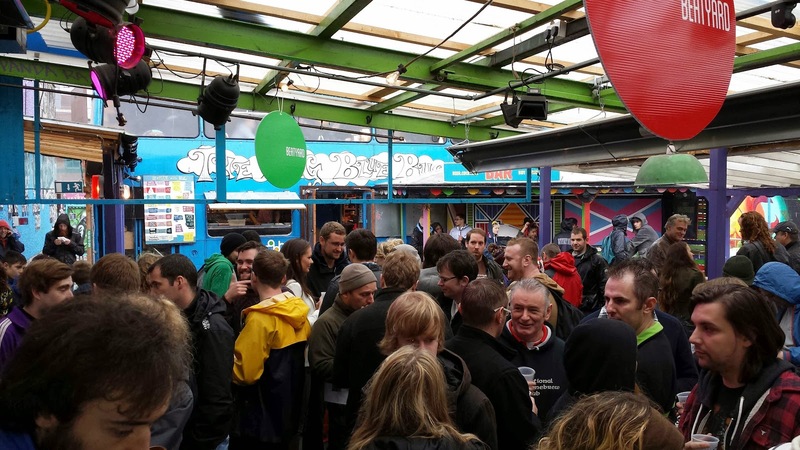 The Tale Of The Ale: Ireland's First Homebrew Beer Festival.